Is The Bose QC25 Worth Your Money? 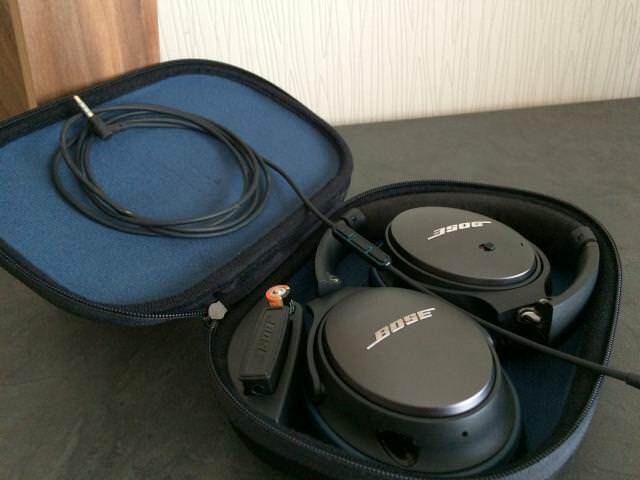 Review – Is The Bose QuietComfort 25 Worth Your Money? 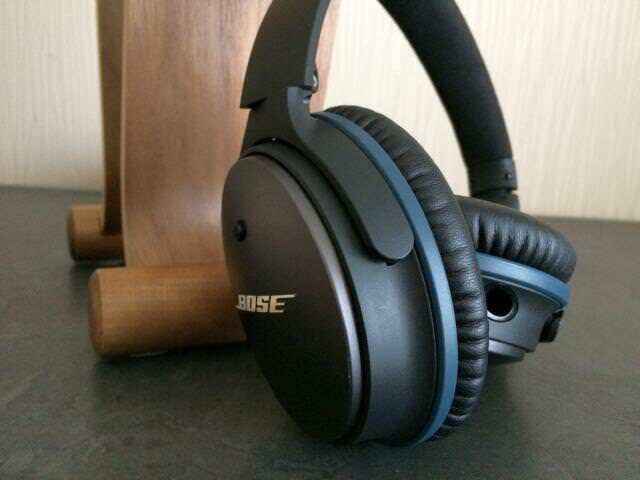 Despite your audiophile uncle’s expressive opinion on anything related to Bose, it is no secret that they’re considered one of the best in the game when it comes to Active Noise Cancelling (ANC). Being the first company to put out ANC headphones for the consumer market, they sure know a thing or two about this tech. 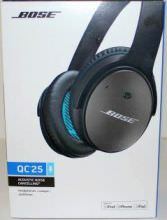 The Bose QuietComfort 25 was released in 2014 as the successor to the well-received QC15 and although Bose recently released the QC35 a few months ago, I’m going to look at the QC25 as it will still be sold next to the newer model. With prices probably going a bit lower and more of them coming available on the secondhand market, it could open possibilities for a lot of people. So let’s check it out! Looking elegant on a wooden Samdi Headphone Stand. The Bose QC25 doesn’t look all that fancy or so. Instead, it has that minimalistic distinctive business look to it. Something I truly appreciate, since I don’t fancy wearing a pair of cans in public that shout out to people at 200 meters. And nor does its main target audience, I think. Because let’s face it. The QC25 is for businessmen/women what a pair of Beats is to certain athletes. Weighing only 196 grams without the cable, the QC25 is certainly not a brick on your head. In fact, it’s one of the lightest ANC headphones out there. Only bested by the Sony MDRZX110NC at 149 grams. 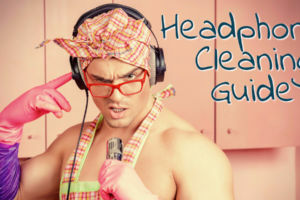 Although the headphones are mainly built out of plastics, they feel pretty strong. I could not detect any awkward squeaks, nor did I feel I had to be extremely gentle with them. By using a combination of stainless steel, premium plastics and cast zinc, Bose found an excellent balance between rugged and lightweight. 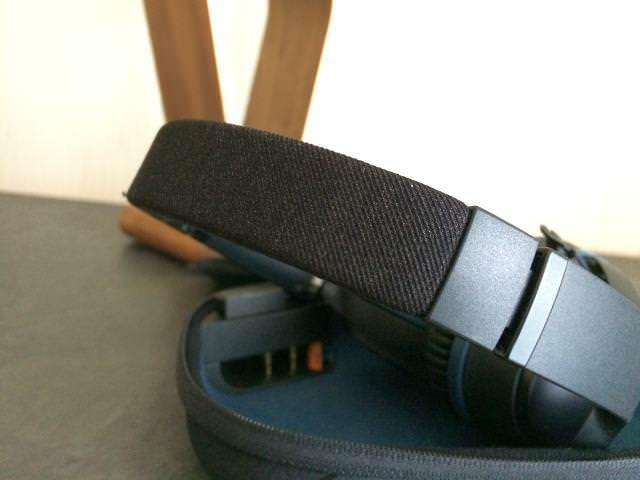 A nice fabric finish on top gives the Bose QC25 just that little extra touch. The padding on the headband is made out of some kind of soft brushed material, something that seems to be coming straight out of a luxury car. Whatever it is, it really feels comfortable. There’s no pressure whatsoever, making this a soft pillow resting on your head. One thing I hate is big earcups that hand me the look of a man-like version of Princess Lea. But only outdoors, though! As for private home listening, I’ll go nuts with my LCD-2 any day of the week. Luckily the earcups of the Bose QuietComfort 25 are perfectly shaped. They will fit any average size ears with ease and still have some margin left. The high-quality synthetic leather earpads with memory foam never put too much pressure against my head, making them extremely comfortable for hours of listening enjoyment. 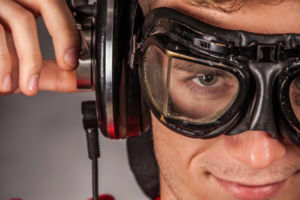 A word of advice: All ANC headphones introduce a certain level of pressure on the ears. This is caused by the opposite sound that’s introduced to eliminate background noise. This sound can sometimes be heard as a light hiss. Some people are more sensitive to this than others. Even to the point that they get nausea after a certain time. It is advised that if you’re sensitive to this, you limit your use until you get used to the effects of ANC. The 1.42m detachable cable with 3.5mm jack has a 3-button remote with in-line mic for music and calls, and is available in separate versions for both iOS and Android, although there’s only one cable included with the headphones. So pay close attention when buying these that you choose the correct version. If for some reason you end up with the wrong cable, it’s not the end of the world, as one can easily be purchased for less than $30. Fold ’em like a Bose. 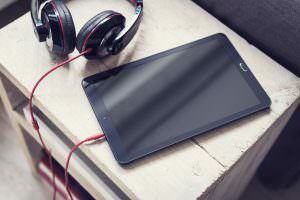 So how does the active noise cancelling perform? In one word: awesome! The ANC is turned on by a little switch on the right earcup and once you switch it on, it’s like peaceful bliss coming over you. It will not block out 100% of outside noises, nor does any other ANC headphone, but it will immediately give you a sense of peace and quiet, which is worth gold when you’re on a noisy train or airplane. They’re even great at work when there’s a lot going on around you. Just put that little switch into ON mode and let the magic happen. It helped me in writing this review! What’s cool is that the QC25 manages to squeeze up to 35 hours of listening enjoyment out of one tiny little AAA battery. This makes them very energy efficient since a lot of competitors need multiple batteries, even AA, to power theirs. Just one AAA battery needed for 35 hours of fun. 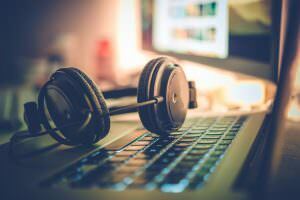 Does the Bose QC25 deliver stellar audiophile sound quality? Not really. Does it provide a nice pretty well balanced and fun listening experience? They sure do! The QC25 is slightly forward tuned without sounding too much in your face. Vocals are clear and crisp, while bass is deep and powerful. I also experienced a good stereo separation and there’s even a subtle perception of depth when listening to certain tracks. Soundstage is surprisingly open for a small headphone, which is another thing I was really pleased about. The way Bose achieves this is by using Active EQ and TriPort® technology. As soon as you switch on the ANC the Active EQ kicks in and tries to do its best to keep the sound balanced. I’m happy to say that it does a pretty decent job. Remember, this is not an audiophile headphone, but a headphone that is generally pleasant to use when you want to listen to your tunes in a noisy environment. Keep in mind though, that due to the mild forward character, the QC25 can become a bit fatiguing with treble rich songs over longer listening periods. 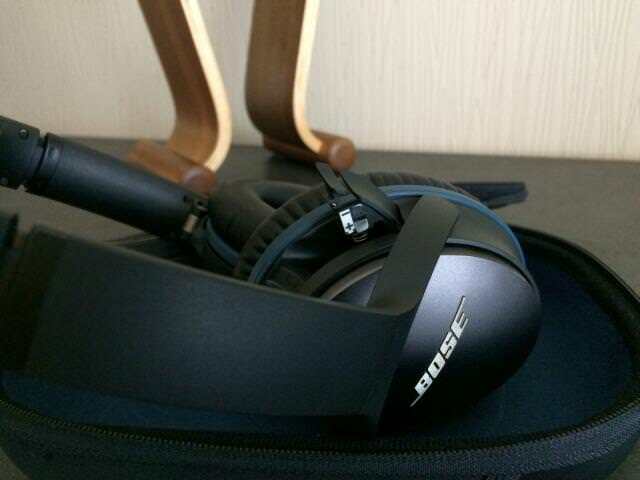 Bose QC25 doing its best to impress. Some of the songs I used and was really happy about how they sounded on the Bose QuietComfort 25 are. Once Upon A Time In The West by Ennio Morricone – A lovely relaxing song by Mr Morricone comes to life on the QC25. Gabriel’s Oboe by Ennio Morricone – Another classic composition by Morricone, which surprisingly sounds crisp on the QC25. Game Of Thrones Theme by Ramin Djawadi – Despite being a dense sounding recording, the QC25 is able to tame this otherwise rumbling mess and actually make it sound enjoyable. Glory Of Love by Peter Cetera – Great recording and performance by Mr Cetera. The QC25 gives this song a perfect amount of fullness and body. Hard To Say I’m Sorry by Peter Cetera – Recorded live, it has great stereo separation and the perception of depth really gave me the feeling I was sitting in the middle of the crowd. You Can Call Me Al by Paul Simon – Great stereo separation with clear vocals and instruments while the lows have the necessary oomph, providing a fun listening of this classic hit. Now let’s talk about the sound without ANC active. After all, Bose clearly mentions that you can still enjoy your music without the noise reduction. So I was eager to find out what the sound would be like without the Active EQ doing its mojo. It was a day and night difference, and not in a positive way! All the life was sucked out of the music and everything was completely pushed back, as far as if it sounded that it came from outside of the headphones. I swear the first time I immediately took the cans off just to hear if the music wasn’t accidentally coming from my laptop speakers. All in all, the music sounded shallow, hollow and lacked every bit of sparkle. So no, there is nothing to enjoy when you switch off the ANC. I would go as far as saying that if the battery died in the middle of a 4-hour flight, I would rather stop listening altogether than having to endure this lifeless experience. Since the earcups are angled I wouldn’t know how someone could wear them wrong, but hey! just to be sure… here’re some markers. When buying a premium Bose headphone like this, you’d expect extras in the box right? Of course you do! Although Bose did not go bonkers, you do get a nice compact hard shell travel case where there’s a separate place to keep the included dual pin airline adapter and one reserve AAA battery (not included). On the inside of the case, you’ll also see an image on how you should fold the headphones to make them fit into the case, which is very convenient the first few times. The case can be opened and closed with a sturdy zipper and on the back there’s even an elastic outside pocket in wich you can store some extra stuff. For the love of God, don’t step on a plane without it! 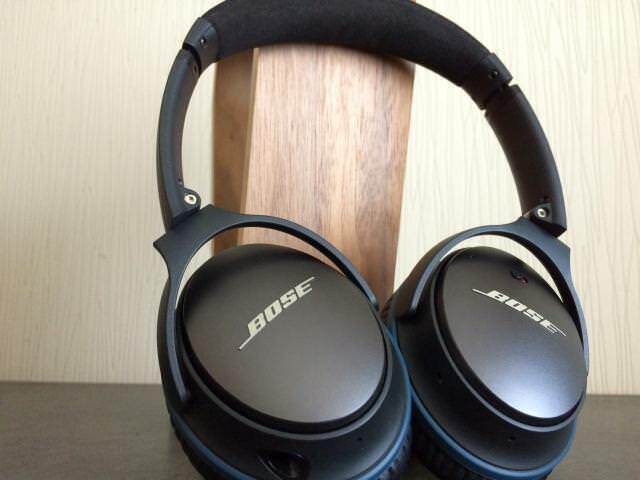 So is the Bose QuietComfort 25 worth the money? Hell yeah! You get one of, if not the, best noise cancellation tech on a consumer full-size headphone accompanied with a deep powerful clear and balanced sound signature (as long as you keep the ANC on). On top of that Bose provides you with the essential extras, so you’re completely set to take these outside into the living (and noisy) world. Still undecided or looking for some more budget-friendly alternatives? Check out my Best Noise Cancellation Headphones under $100. More of an In-Ear kinda person? 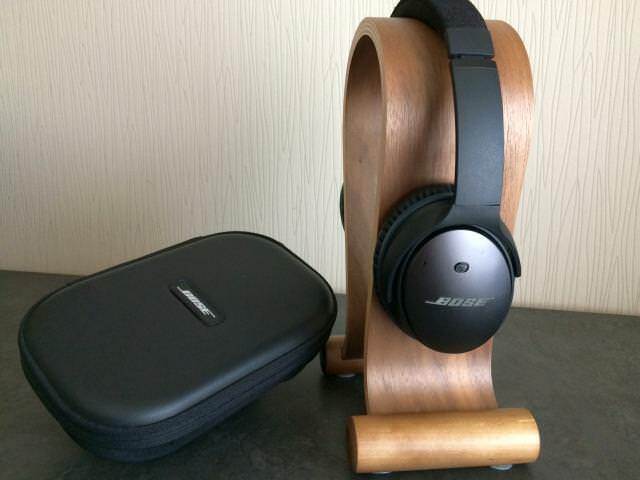 Check out my review on the Bose QC20 and the QC30. If you have any questions on the Bose QuietComfort 25, let me know in the comments below. If you’ve got the money to spend, the Bose QuietComfort 25 is as good as it gets! For the price that you mentioned above, it really doesn’t seem worth it when the only reason you would pick up a pair is for traveling purposes. I remember the first time I put these on at a noisy Best Buy, I was comfortably greeted by a calming silence. I loved that sense of stepping away from the noise and having complete silence. 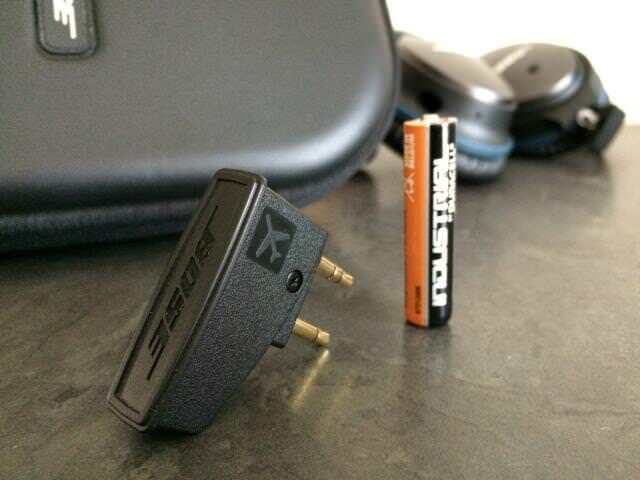 I laughed at for the love of God, don’t step foot on a plane without them. So True!! The thing about high quality headphones is that most people think their $20 headphones sound pretty good. Well, you don’t know til you know because if you ever purchase a high quality set of cans, it is completely different and so much better. There really is no comparison. Due yourself a favor and get a quality headphones. 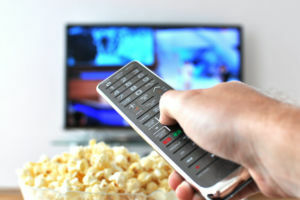 One of the biggest issues I suffer from is focusing because of background noise! 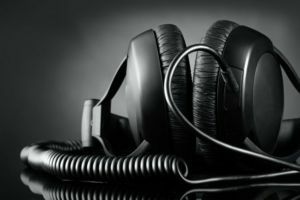 I’ve always wanted a pair of ANC headphones and this article may have pushed me a little closer to buy them. 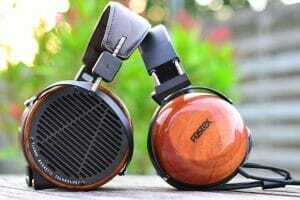 I found myself clicking on the article that has the headphones for under $100 so I think that is a great little bit to get traffic to your site. Good review, i really found it helpful. I know what you mean Chase. I’m always distracted by stuff happening around me, so that I can’t get any work done. I’ve always though ANC headphones were for people who’re always flying, but I find them very useful just for use in our house, so I can completely focus on my work. Oh cool, I just commented elsewhere on your site about needing new headphones. These look great, but very expensive. Would these work well with gaming alongside using them for listening to music? I would not need a mic on the headset as it is not for online gaming, just single player. But it seems that headphones for music are designed for music listening only. I never see Bose appear in gaming headset recommendations. Bose is a great make that I would consider spending lots of money on. My sister had a tiny Bose speaker once for her stereo and it was surprisingly loud and dominating despite its size. What do you think, good for gaming? It would be a shame if I needed two types of headsets. Expensive as well. If you really don’t need a mic for online gaming, then the Bose QC25 is certainly a good choice. The advantage it has is the noise cancellation. 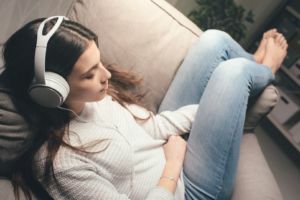 When you’re gaming in a room with other roommates or familymembers, you can fully concentrate on your game without being distracted by the noise they’re making. I love that you have mentioned the game of thrones theme song in that list LOL… I’ve been looking for some quality headphones but… I don’t know, are these the best you can get for $299? I don’t mind spending even a little more for a great set, but they’d have to be awesome. Any suggestions? 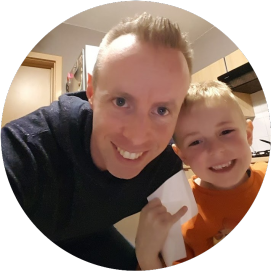 I’m also looking for a more budget kind for my son, I will check out that selection you have under $100. Cheers! They are pricy yes, but if you consider what they offer, I think the price is justified. 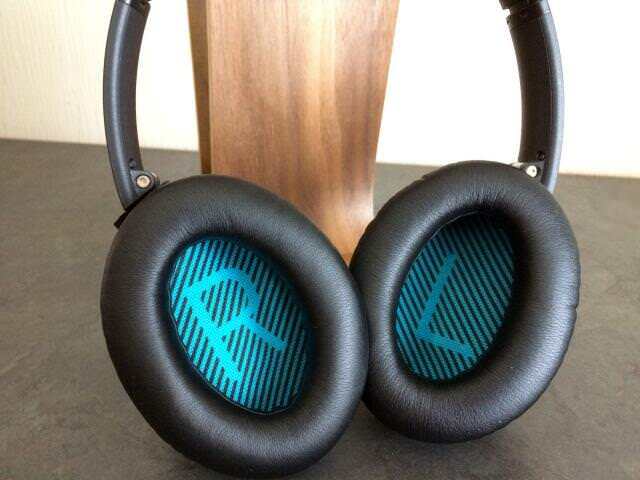 They have the best noise cancellation, are very light and comfortable, only need 1 AAA battery for up to 35 hours, have a great fun sound signature and don’t take much space to carry with you. The Bose QC25 ticks all the boxes. If you don’t mind in sacrificing some of these features, then you’ll find great offerings in my under $100 list. Let me know if you’re interested in a particular one. You were very detailed and did a great job lating out the pros and the cons of these headphones. I think maybe they are too expensive for what they offer, but I honestly don’t know what makes good sound quality. I buy a $20 pair of Sony ear bud headphones and those sound pretty good to me. I really do like the outside noise cancellation features these headphones offer though. That sounds like a deal breaker to me. Hey Jacob, it’s all about personal taste of course. But let me ask you something. 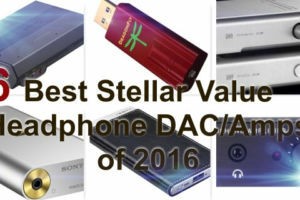 Have you ever listened to some more expensive headphones? If not, I think you’ll be pretty amazed at how these can sound compared to your earbuds. Let me know if I can help you in any way. Yeah for sure, I listened to beats by dre one time, a friend owned a pair, honestly, I was disappointed, but I also think that beats by dre is a scam, they make their sales based on brand name! I will definitely check these out someday when I have more money! However I’ve read some very positive reviews on the Solo 2 HD and the new Solo 3. I agree, you still pay for the brand, but they’re actually improving, so that counts for something, right? Nice review. I also hear the hissing sound with the ANC on. Good quality recordings are a must with these headphones. I agree, they’re not the most forgiving pair of headphones, which has something to do with the forward character of the QC25. The hiss on the QC25 is actually not too bad. I only hear it when I’m in a very quiet room and not playing any music. For instance, I’ve heard that the hiss on the Beats Studio Mk2 is much more dominant and even distracting while listening to songs.